Ricky Lotspeich received his undergraduate degree in Zoology from Auburn University. He then went on to medical sales training and research, and ultimately earned his Physician's Assistant degree from Wake Forest University School of Medicine. 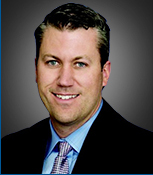 Ricky joined Peak Orthopedics & Spine in 2008 and is the Physician's Assistant to Dr. Craig Loucks, Orthopedic Surgery. Angie is a Colorado native and received her Bachelor of Science degree in Exercise and Sport Science from Colorado State University. She attended Lock Haven University in Pennsylvania and received her Master of Health Science in Physician Assistant Studies in 2003. She specialized in Orthopedic Trauma for several years prior to joining Peak Orthopedics. She assists Dr. Loucks both in the clinic and in the operating room.